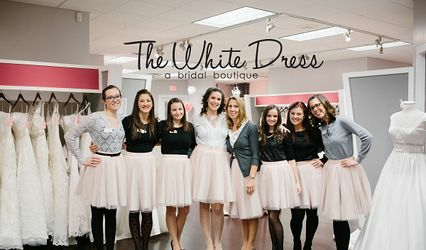 Local to Saline, Michigan, family-owned bridal boutique White Arbor Bridal specializes in designer bridal fashion and accessories. 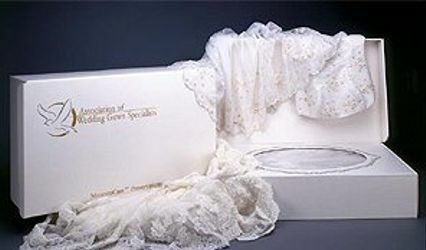 Established in 2012 by co-founders Diana and Brent, White Arbor Bridal is dedicated to customer satisfaction, and endeavors to provide a memorable, yet affordable bridal shopping experience. 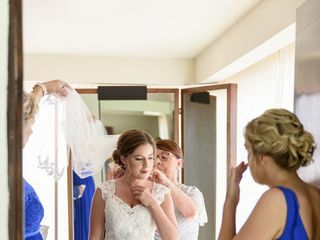 White Arbor Bridal serves brides and bridesmaids, and provides numerous high-quality bridal accessories — including jewelry, veils, shoes, belts, and headpieces — to complete your wedding look. Tuxedos with bridesmaid-matching color swatches can also be provided for the groom and groomsmen. Appointments are only required for weekends, meaning that walk-ins are otherwise always welcome. 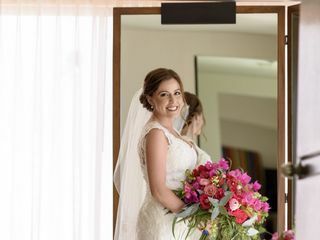 Flexible to your needs, bridal boutique hours can be tailored to your appointment needs upon request. 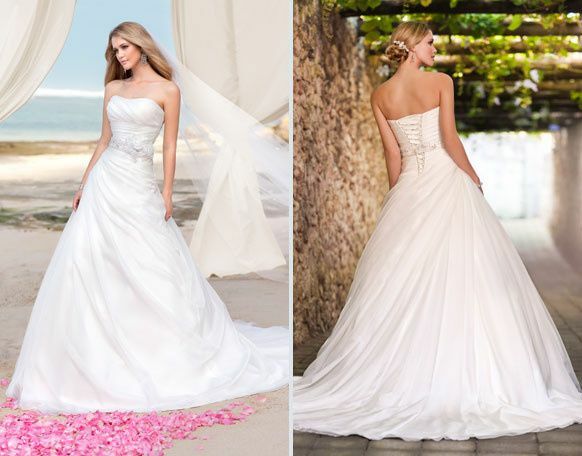 White Arbor Bridal is passionate about providing a wide selection of bridal gown styles ranging from modern to vintage that can meet the needs of any size or budget. 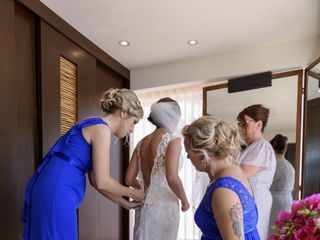 The stylist team provides one-on-one attention to ensure that brides feel listened to and understood. 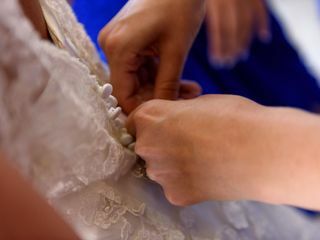 Cleaning and preservation services are also provided to ensure the lasting quality of your gown after your wedding day. 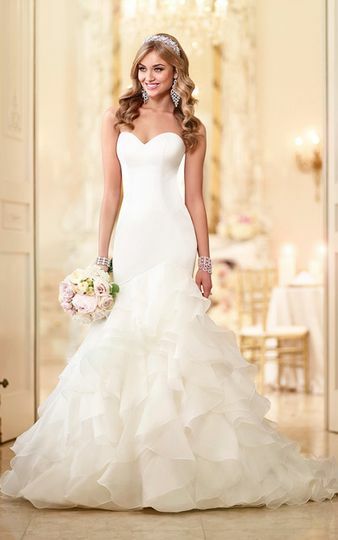 I heard about White Arbor while at the Novi Bridal Expo in January. I was a bit nervous due to how far from home they were, but I figured I would give it a shot. In the end, the hour and a half drive each way for each of my visits was more than worth it! I worked with Diana my first two visits and she was AMAZING! 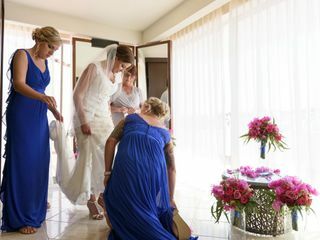 The first was to try on a variety of beautiful gowns and the second visit was to see a dress I had my eye on that they normally didn't carry. Diana went the extra step to bring it in on loan from the designer and it ended being the one! I was thrilled! On my last visit to pick up my dress, I worked with Nikki and she was FANTASTIC! Very knowledgable and provided great ideas and suggestions to ensure I look my best. 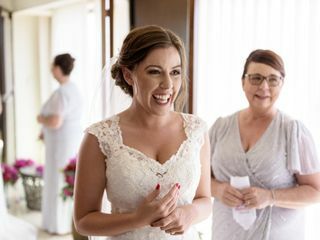 Thank you so much for turning what was my most dreaded wedding task into a truly memorable experience! Nikki was great to work with, the experience was laid-back and professional. I have recommended White Arbor to many friends since. I actually went to White Arbor Bridal twice. The first was for dresses and Chelsea was amazing. She texted me pictures of different dresses in stock and listed to what I had to say and looked at inspiration pics. While I did not find my dress here, the staff was absolutely amazing and I would send anyone in SE Michigan to this great shop. 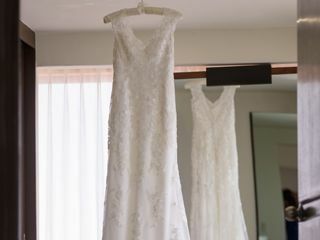 Two months after my first visit, I did go back to the store for their Bridal Accessories trunk show and I was able to find all my needed accessories to go with my dress (it was even the same designer!). They let me bring my dress in, fully knowing that I had purchased it elsewhere and treated me as if I had made the purchase there. Seriously, the ladies there are top notch.